Thanks to a grant from the Lackawanna City School District, Buffalo State education majors will have the opportunity to help Lackawanna students succeed this school year through the Twenty-First-Century Community Learning Centers Program. The $67,188 grant is one of several awarded to area colleges. The entire five-year grant of $900,000, provided by the New York State Department of Education, is awarded to school districts that partner with other institutions to provide academic support to their students. This is a five-year renewal of a grant in which the Center for Excellence in Urban and Rural Education has been partnering over the past ten years. 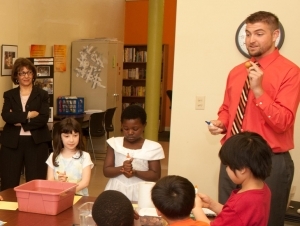 Diane Collier, school programs coordinator for the Center for Excellence in Urban and Rural Education, is responsible for recruiting Buffalo State students to participate in the program. "This program gives our students teaching experience and the opportunity to make a little extra money," said Collier. Collier said that she tries to recruit Buffalo State sophomores and juniors to work with students in grades K through 12. "This program affords our students the chance to work with teachers and provide support services to students who need help," she said. "The purpose of the grant is to provide students in struggling schools with the support they need to succeed academically. Students in the lower grades, in addition to the academic support provided by our college tutors and other agency staff, work on youth development, which includes helping students develop the social skills they need to succeed in school. We also work on family literacy." In the higher grades, Collier tries to match placements and assignments with Buffalo State students' majors and certification areas. "Our students help high school students succeed on their Regents exam by tutoring them on specific subjects such as science, math, and global history," she said. Buffalo State students who participate in the program make connections in the school district. "It’s both a commitment and an opportunity for our students," said Collier. 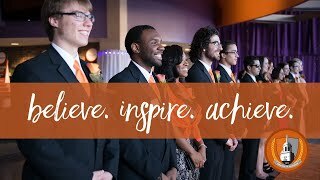 Many Buffalo State students continue working with the program throughout their college career. The school district is grateful for, and impressed by, the help provided by Buffalo State students. "I received a note from a classroom teacher," said Collier. "She said she was so impressed with one of our students, she just had to let us know! We regularly receive feedback from all participants and this is a typical type of response."